Recent studies predict that in 2015 there will be an expected 11% increase in online spending across Europe. On average, a typical consumer will spend €1,142 this year. The UK, our nearest trading partner (and competitor), was top of the pile, with each consumer forecasted to spend an average of €1,635. This upward trend is predicted to continue into next year and beyond. The IEDR (the Irish Domain Registrar) recently conducted a survey, prior to launching its OPTIMISE Fund for 2015, to ascertain the level of ecommerce readiness of small and medium sized businesses across the island of Ireland. 501 businesses took part in the research. The findings were stark and showed that only 9% of SMEs surveyed could process customer orders online. In addition, only 4% had integrated web analytics to allow website performance to be monitored. 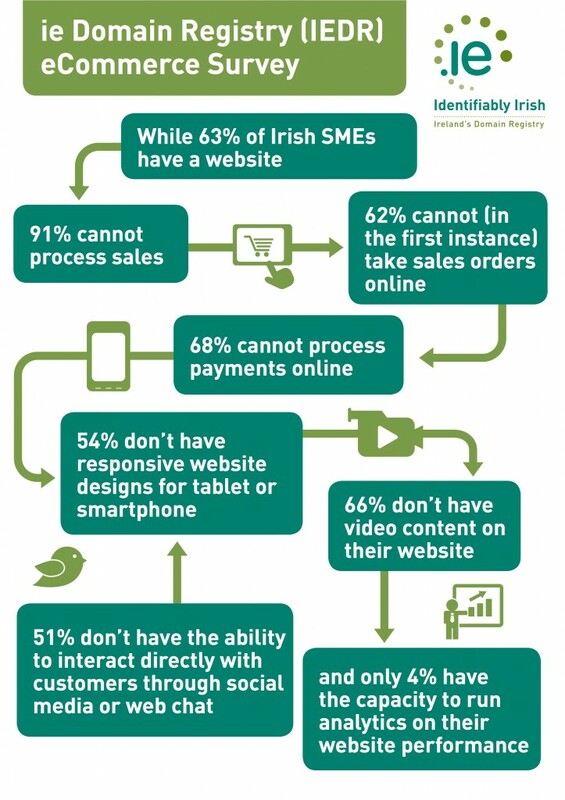 Irish business had already been extremely slow to establish an online presence and while 63% now have a website, they are not meeting changing customers needs which are becoming more complex. The first phase of the web (Web 1.0) was characterised by static or brochure-type websites. Web 2.0, now well established as the norm, has developed to involve direct user interaction and user-generated content. This encompasses a wide range of platforms – social media, blogs, live chat, customer reviews and, crucially for online retailers, ecommerce. This two-way interaction is expected as standard now for users and businesses which don’t engage in this way and provide these sort of options may well find they are losing lots of potential or even established business. Another area where many businesses are failing to adapt to changing customer behaviour is in the area of mobile ecommerce. The high usage of mobile devices (now having surpassed traditional desktop) means that users expect websites to display in a user-friendly way on their devices. The IEDR study discovered that only 46% of SMEs have a websites that is optimised for viewing on a smartphone and tablet. It doesn’t explicitly state how many of these optimised sites are actually optimised for mobile ecommerce but it could be reasonably assumed that the number is very low indeed. On top of this Google recently announced that it will give preference to mobile friendly sites in its mobile device search results. One revealing finding from the IEDR’s study is that businesses seems to have a good understanding of the importance of their website for business. However, this is not being matched by action to provide the options for their customers to purchase online. Customers expect more than just a contact form. The good news is that there is help and support available. The IEDR’s OPTIMISE fund is valued at €150,000 and has been provided to help business enhance their existing web offering and benefit from e-commerce functionality. Also, the Department of Communications, Energy & Natural Resources (DCENR) has launched a Trading Online Voucher Programme and has teamed up with the Local Enterprise Offices to deliver this to Irish businesses. This Voucher Programme allows small business (up to 10 employees) to avail of a maximum grant of €2,500 to assist with helping develop online trading. This can include building an ecommerce site, digital marketing, search engine optimisation, training etc – any activities that help a business achieve this goal. The application process is straightforward but does require some strategic thinking as some of the questions relate to business planning and marketing so it can be a bit offputing for some business owners. Enhance has assisted many small business with the application process and also developed cutting edge ecommerce applications and websites. If you are a business owner looking to avail of opportunities to tap into the potential of the growth in online sales then why not contact us today? 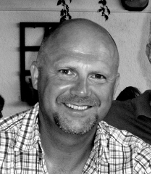 Paul is an experienced business professional with a huge interest and passion for web technologies, in particular how they can be utilised in business development. He has worked with a range of start-ups and SMEs, helping them establish their web presence and worked closely with them in developing effective online strategies.